One of the most anticipated movies of the year “Baahubali: The Conclusion” has been making huge headlines for all the right reasons. Everything seems to be going just right for Prabhas starrer "Baahubali 2". The film literally broke the internet when its trailer got released and, everyone simply went gaga over it. Now, the Prabhas starrer has made another big record. “Baahubali 2” is all set to release across 6500 screens. This means that it will be the first ever film to have such a huge release. Before this, Salman Khan’s “Sultan” was in the lead with 4350 screen counts, while Aamir Khan’s “Dangal” grabbed 4300 screens. Shah Rukh Khan’s “Raees” had 2500 screens, Hrithik Roshan’s “Kaabil” got 2200 screens. Similarly, Akshay Kumar’s “Jolly LLB 2” enjoyed 3200 screen counts. This means that “Baahubali 2” has already scored a huge win against the three big releases of the year. 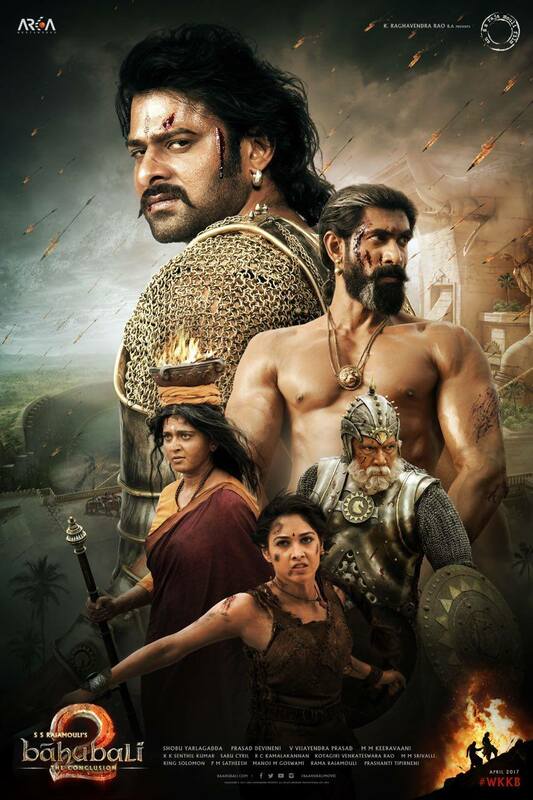 Baahubali - The Beginning released on July, 2015 in more than 4000 screens worldwide A record number of 1600 screens in Telugu, 1500 screens in Hindi, 350 in Tamil and 225 screens in Malayalam were booked for the release. The trailer of the film recorded the highest number of views on YouTube touching 100 million views and counting. This marks the first success for the film since in the history of Hindi films, only popular songs have been able to generate this kind of numbers. So, just the glimpse of the film has broken the internet in an immense way. Now, going by it, we can assume that even 6500 screens would clearly go houseful. Filmmaker Karan Johar was all praises for the film and said, ''Baahubali" series has inspired a lot of young directors. One can conceptualise a film like 'Baahubali' (in Hindi cinema) but no one has done it so far. 'Baahubali' has given opportunities to Hindi cinema. There are many young filmmakers from my company who are inspired by it. I hope it translates into more films like this." Directed by SS Rajamouli, ‘Baahubali: The Conclusion’ also features Rana Daggubati, Anushka Shetty and Tamannaah Bhatia in key roles. The movie is slated to release on April 28.